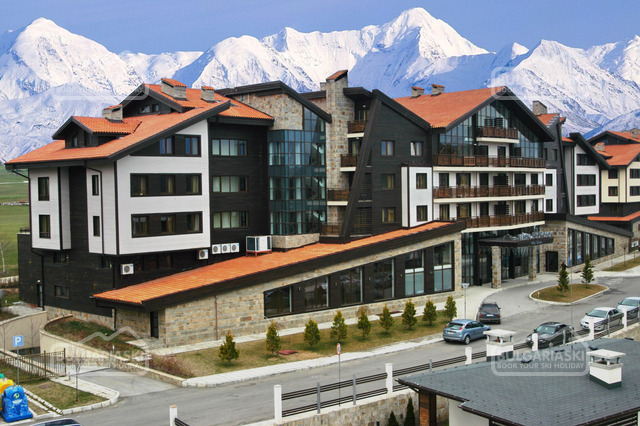 Location: Club Hotel Martin is located on a quiet street close to the centre and the old town of Bansko ski resort. 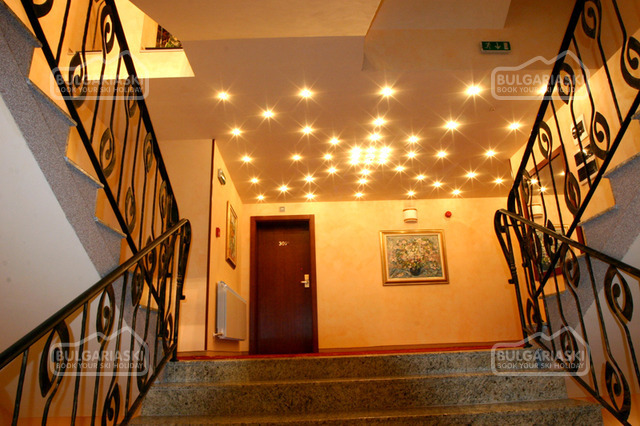 Accommodation: The hotel features 27 rooms and 11 suites. The rooms are located in two buildings. The guestrooms offer mini-bar, wardrobe, working desk, direct-line phone, cable TV, free Wi-Fi Internet access, bathroom with towels and a shower-cabin. Most of the rooms feature balconies with a table and chairs and a mountain view. 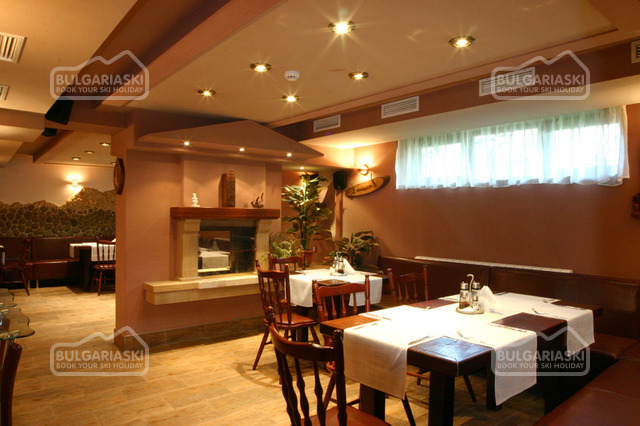 Wine & dine: The restaurant with 50 seats serves dishes from Bulgarian and international cuisine, as well as local specialties. 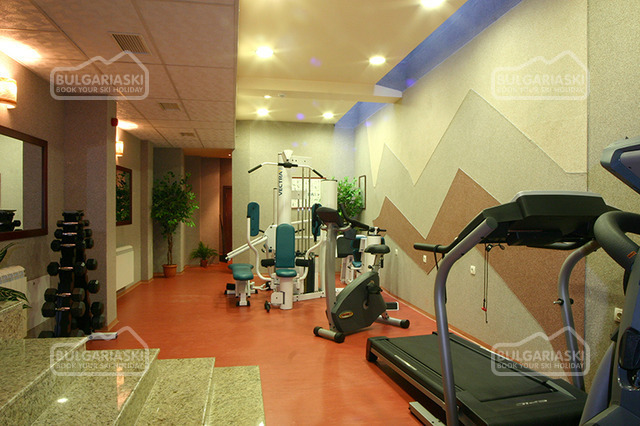 Sports and relax: At guests' disposal are sauna, hot tub, table tennis, fitness room, massages, small outdoor pool. 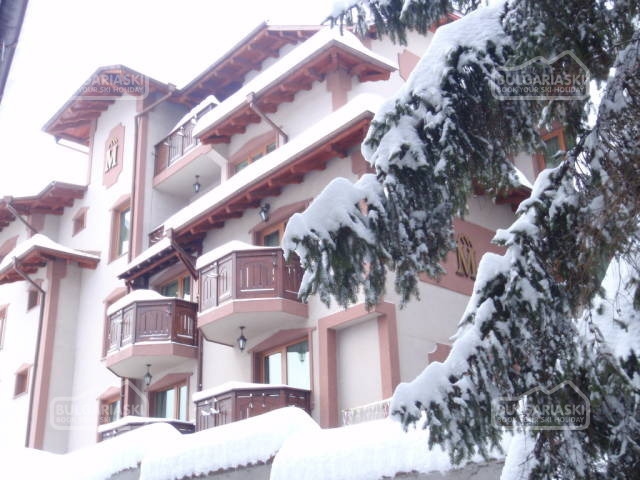 The complex offers ski storage room and underground parking. 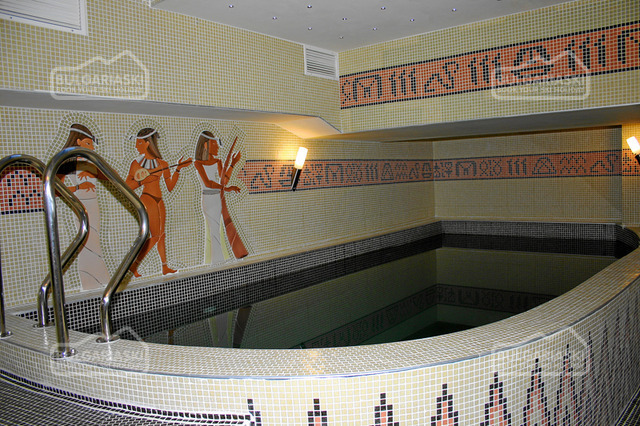 Please, post a comment on Martin Club Hotel. 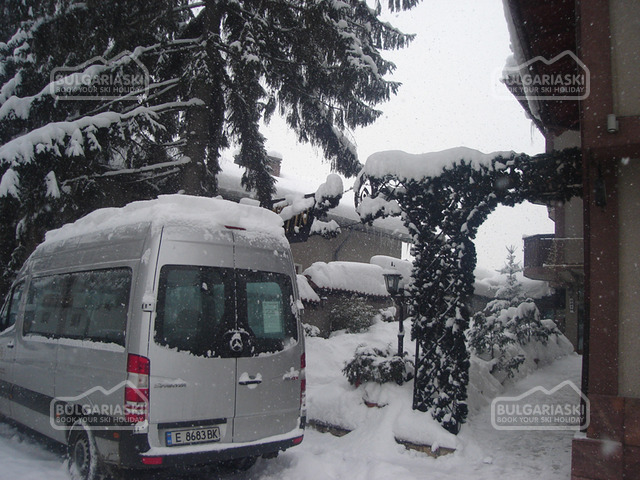 Prices in Euro per room/apartment per night with breakfast, use of indoor swimming pool, sauna, fitness, jacuzzi, shuttle to the Gondola Lift, parking and ski storage included. 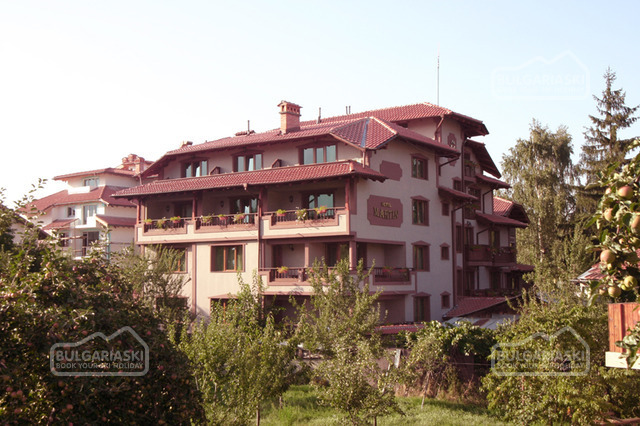 * Maximum occupancy: Double room: 3 adults; 1-bedroom apartment: 2 adults + 2 children or 3 adults; 2-bedroom apartment: 4 adults + 2 children or 5 adults. 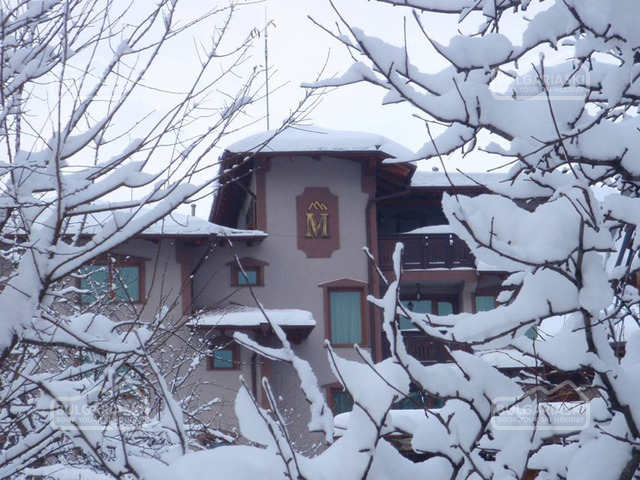 * Cancellations can be made free of charge providing details of this are received at least 14 days prior to check-in time on the day of arrival and 35 days during 28 Dec - 04 Jan - cancellations made after this period will incur a fee equivalent to the cost of 3 night's accommodation.